This is pragmatic, real-world service management: the practices involved in running a business as seen from a services perspective. We'd like to say 'simple' but service management can only simplified so far. “Make things as simple as possible, but not simpler.” So we say "Basic". Service management is for anyone who provides a service, or who sells a product (because in this day and age all products had better come with service). Free Checklists to guide you at critical times. Other Resources we provide to help you with Basic Service Management. Links to resources on the internet. 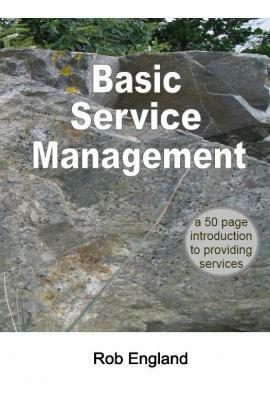 The book Basic Service Management, an affordable 50-page description (paperback or digital) of how to provide services - any where, any industry.